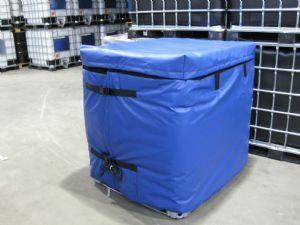 An insulated IBC cover with a PVC outer and heater element installed. Complete with splash proof plug and socket. 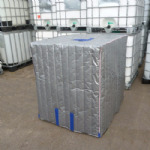 This is a 400 Watt heating jacket which will heat the IBC 20 degrees above the liquid's current temperature. Ideally used as a frost prevention or to slightly warm a product. This option can come with either a 110 or 240 volt cable and will come complete with the necessary attachments to connect straight to UK mains via 3 prong plug or the 110 volt connections. 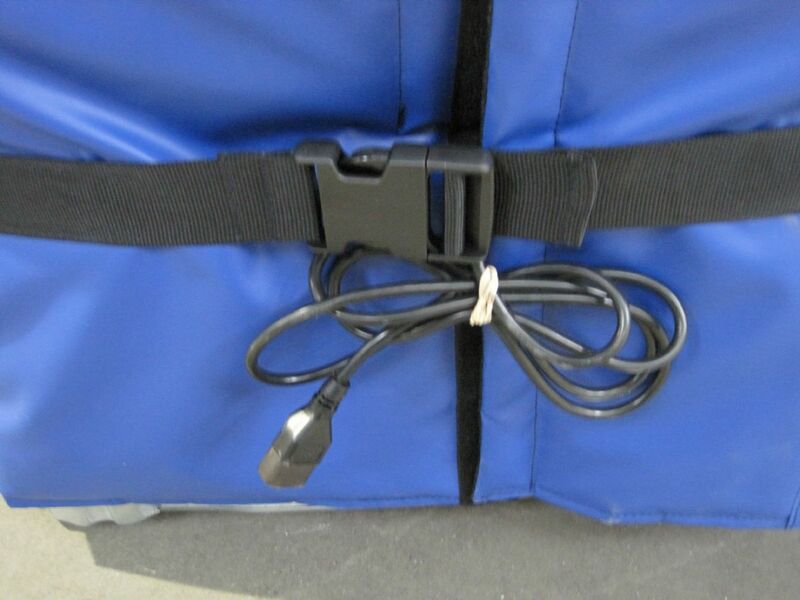 As you can see in the pictures this jacket comes complete with tightening straps and also a cover over the top to prevent heat loss (unlike others on the market). The lead time on the 110 volt may be a few days depending on production. 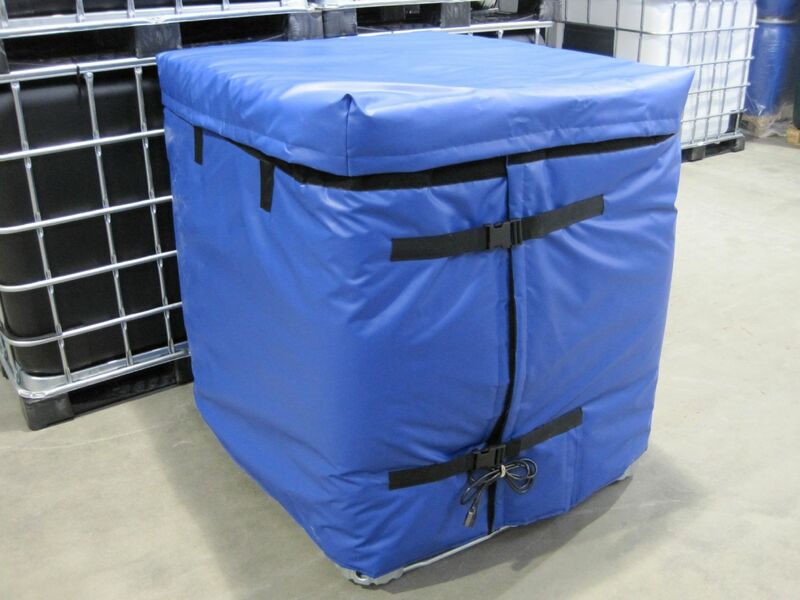 This is a perfect option for quickly warming up your IBC or keeping the liquid of your IBC at a constant temperature. 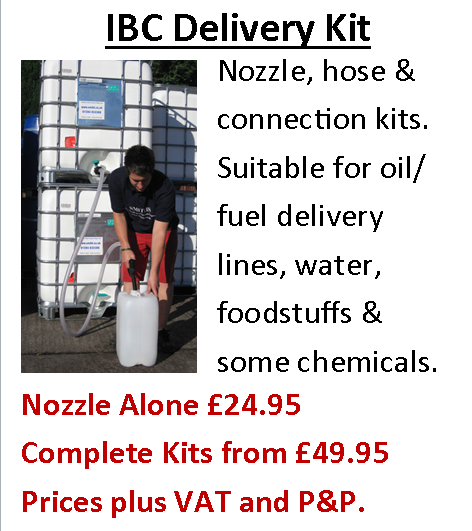 For a 1000 litre IBC. 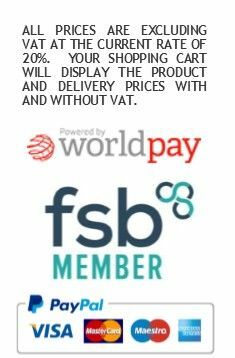 Please choose option D for delivery when ordering - Heavy, larger package - courier delivery. 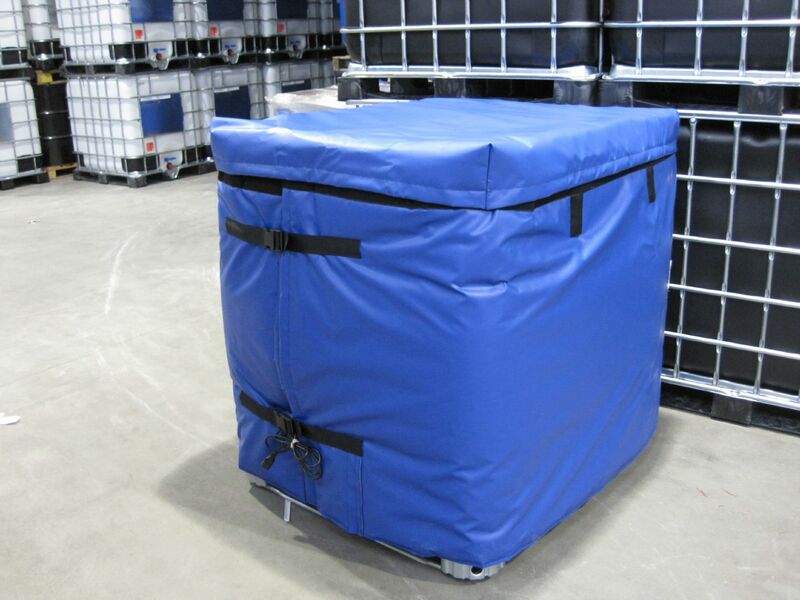 Please contact us to discuss your requirements and see that this jacket would be suitable for your application.